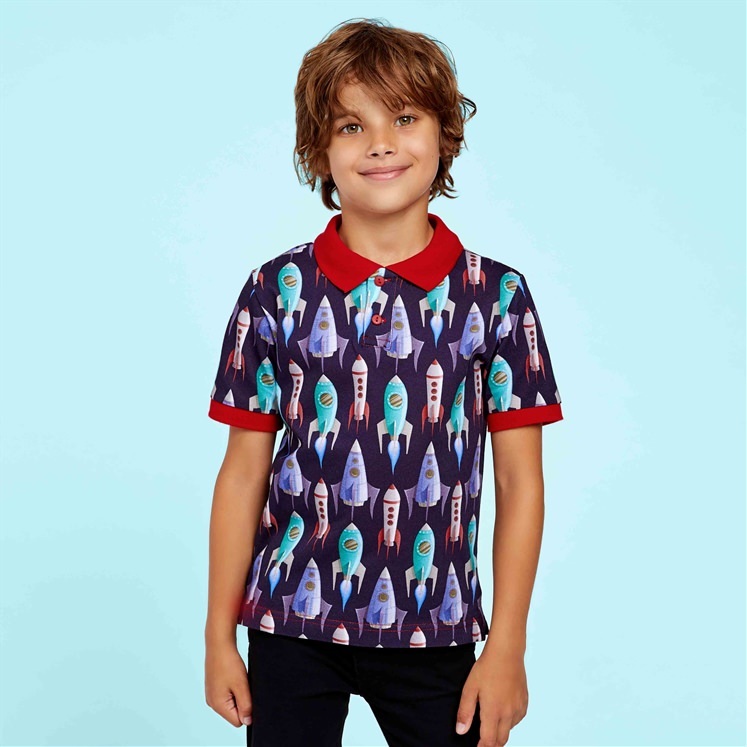 Children's printed piqué polo shirt. 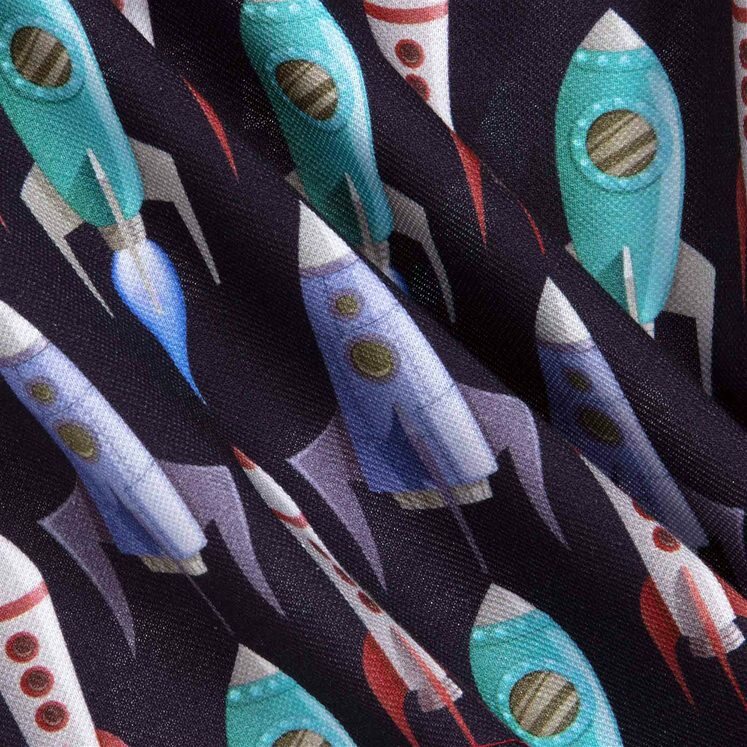 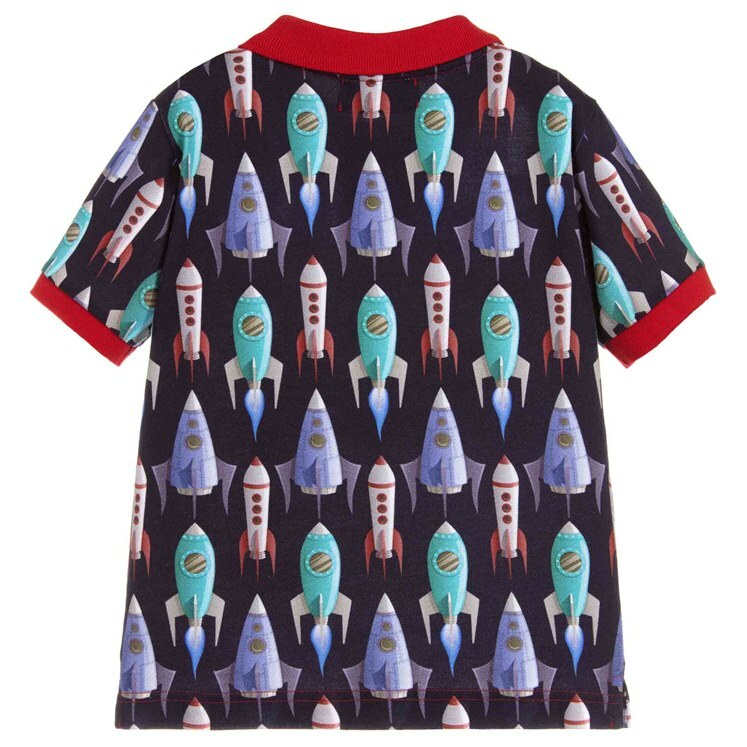 Blue with an all over design of space rockets. 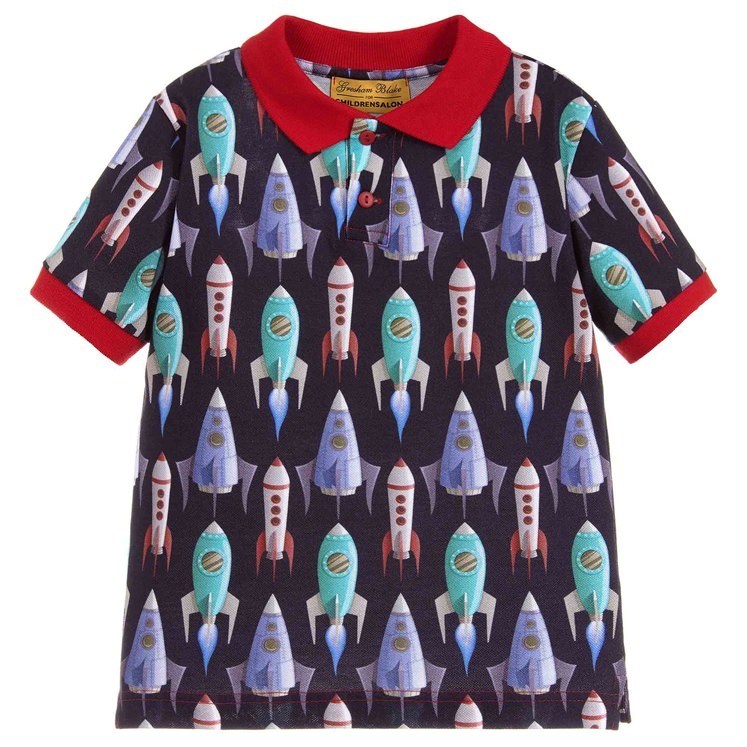 A limited edition shirt, designed by Gresham Blake in collaboration with Childrensalon.